Clustering Deep Dive Book – released + logo! 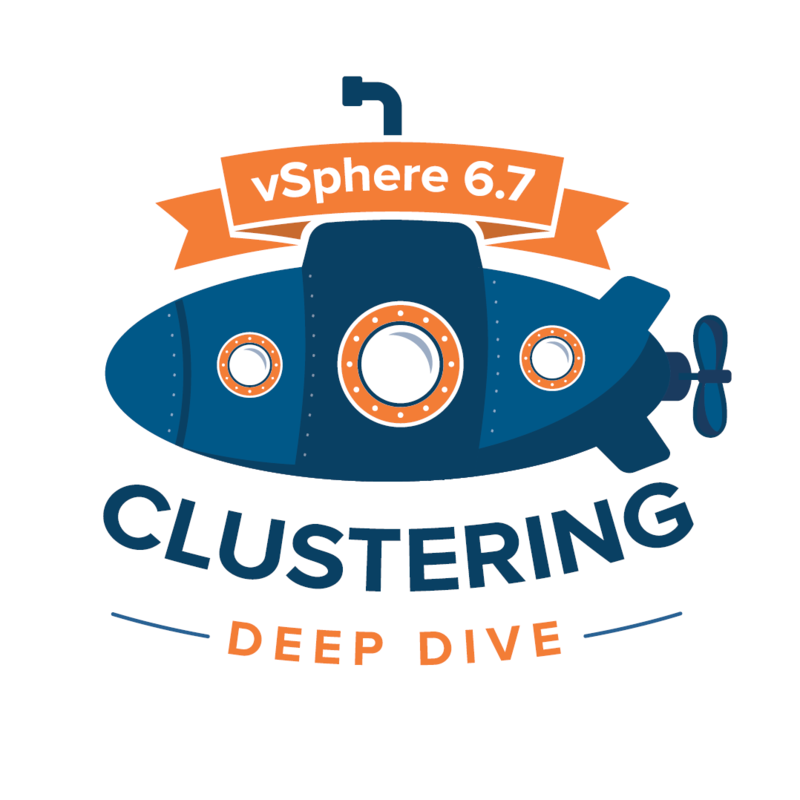 Yesterday we finally were able to share the news that our new VMware vSphere 6.7 Clustering Deep Dive book is released. Countless hours has gone into it; researching, writing content, updating content, discussing a lot, creating the cover designs, creating a logo, having fun! It was my second time as a co-author after releasing the Host Deep Dive book last year with Frank. I am humbled that I got to work with two of the most regarded individuals in our vCommunity. What these guys did for making the daily life easier for everybody working with VMware solutions, is incredible. Also, a big thank you to all our reviewers, people who helped realizing this release and Chris Wahl for writing an inspiring foreword. I am a big fan of the previous releases of the Clustering Deep Dive series. When thinking about that, back in 2010-11, the first release helped me a lot to fully understand all clustering constructs. One might say it helped to fuel my enthusiasm for working with VMware vSphere. Couple years fast forward and here I am working together with Duncan and Frank on the latest release. A big thank you to them for letting me get onboard and be part of this amazing series! As there are a lot of changes since the 5.1 release, we hope this book can help you getting a thorough understanding about all VMware vSphere 6.7 clustering features. The new version of the Clustering Deep Dive covers vSphere HA, DRS, Storage DRS, Storage I/O Control and Network I/O Control. In the last chapter of the book, we bring all the theory together and apply it to create a stretched cluster configuration. Where Duncan worked on the HA parts and Frank on the DRS parts, I primarily focussed on the Quality Control parts. I feel that these features are often enabled or disabled without really understanding how they can help you managing and enforcing quality control. At least, that is my experience with them. While knewing high-level what NIOC and SIOC are all about, a deeper understanding can lead to new insights on their impact and how to use them. We feel that this addition to the book helps to gain these insights. The idea is to provide you with a vSphere Resource kit to fully understand all features from the hardware components and everything involved all the way up to the vSphere clustering service on top of that. Now the Host Deep Resources Deep Dive, Part 3 might be a slightly confusing title. It is part 3 because we already did Part 1 at VMworld 2016 and Part 2 in 2017. We will bring a new awesome way of delivering host resources knowledge in that session. More on that later. With the arrival of the new Clustering Deep Dive book, we came up with a new logo to accompany the Host Deep Dive logo. There will be a limited number of shirts + stickers (pushing for on-time delivery) that we will bring with us to VMworld. We will give some away in our sessions so make sure to attend!